Just a tiny post about bonfire night and what it means to me. I woke today with a bitter taste. Fireworks are atmospheric and beautiful, sadly they come at a price. When I was much younger, my gran had a little border collie pup, called Taggy. She was gentle, she enjoyed life and I spent many days playing with her. She was smaller than a shoebox and sadly, lost her life around this time of year. Fireworks cause large amounts of stress on animals and for most, wildlife and even pets, their comfort is overlooked in the celebration of the night. My mother will most probably be at the stables as I write this, to ensure her horse and the animals on the farm, are comfortable with the explosions shattering the skies above. Firework displays for me are beautiful and sad. I have always shed tears privately for this little puppy whenever I watch a display. Tonight I took a photo as a tribute to her life. As a child I was deeply attached to Taggy, she felt like mine. 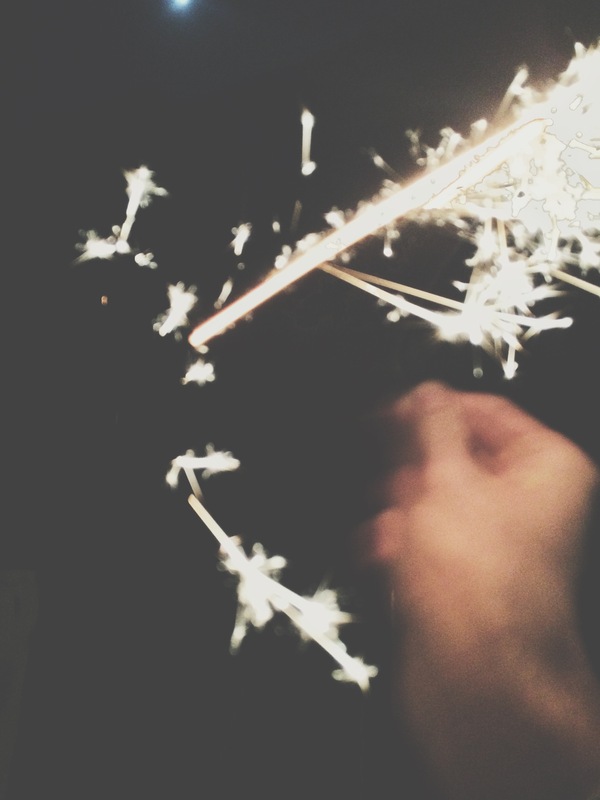 She was my family, so, a sparkler to symbolise her. Sadly I have no photo of her, which is why I want to have a disposable camera on me at all times now. She was gorgeous with freckles over her face. She had a face you just wanted to gaze into.